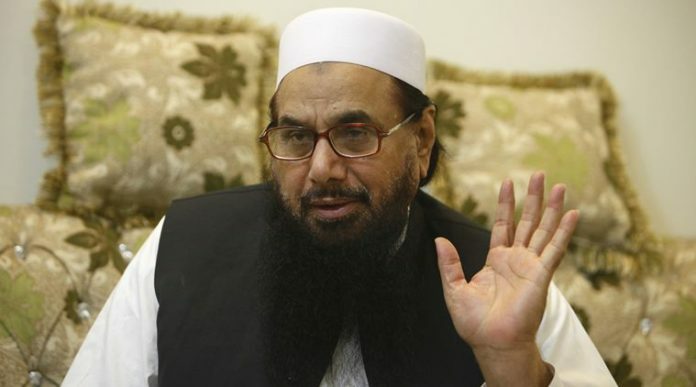 Jamaat Ud Dawa (JuD) chief Hafiz Saeed and 26/11 Mumbai attack mastermind on Friday claimed that Kashmiri mujahideen group had carried out the attacks on Indian army camp in Uri sector and killed as many as 177 Indian Army personnel. Hizbul Mujahideen militant Burhan Wani killed in an encounter on July 8 in Indian, and since then the Kashmir was in unrest condition. Hafiz Saeed has stated this as the reason for the Uri attack. He also added that no country in the world had condemned the militant leader’s death, but they took a firm stand on Uri’s attack. Pakistan Prime Minister asked permission by the JuD chief to reply back Indian army’s attack in the PoK. This is a hailing statement in present day’s world. A terrorist was openly making a statement regarding terrorist attacks. A confused Pakistan government has not able to issue a correct statement in regarding India’s reply to Uri’s terrorist attacks. All the top officials have been on the back step since India aggressive actions in Political angle and as well as military actions. Putting all those aside, the shameless statement made by a terrorist leader expressing that they can show India what is meant by the surgical strike. In the past, Indian Union External Affairs Minister, Sushma Swaraj has stated on the floor of United Nations that Pakistan is state of Terrorist groups. She also stated that Pakistan is the land of shelter, those who are against mankind and peace. Her statement proved to be correct with yesterday’s public statement by an internationally recognized terrorist group leader Hafiz. India has not commented on the statement. However, Home Minister of India has declared high alert in all the major cities and places where the center thinks sensitive.